George Frederic Watts (1817-1904), Painter and sculptor. Artist associated with 91 portraits, Sitter in 43 portraits. 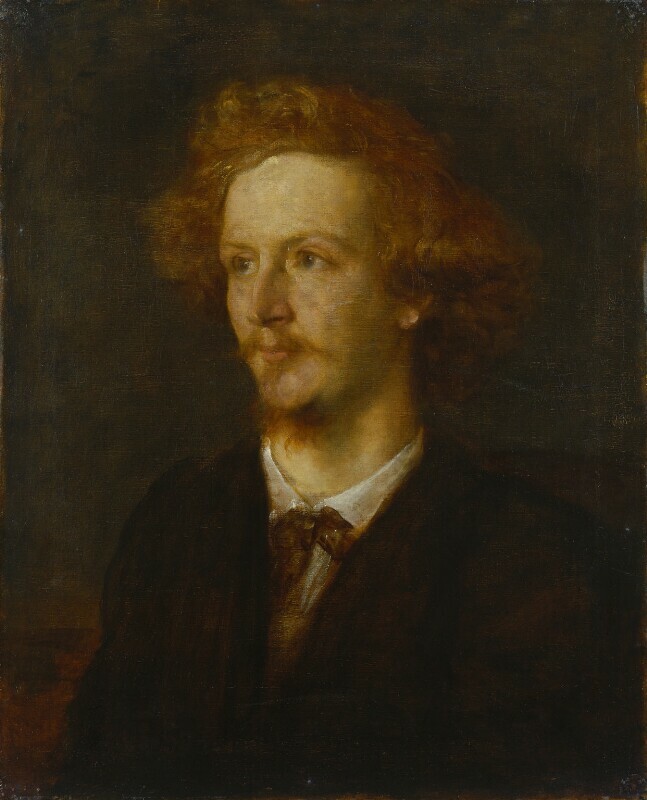 Swinburne told his friend George Powell on 22 May, 1867, that he was 'in the honourable agonies of portrait sitting - to Watts . . . he won't let me crop my hair, whose curls the British public (unlike Titian's) reviles aloud in the streets'. Encouraged by the success of his select international exhibition of paintings last year, M Georges Petit will tomorrow open a second exhibition of the same kind at his gallery in the Rue de Seze. The plan is to select representative artists from each country, by invitation, and to limit the number of exhibitors to twelve. Stevens sends about a dozen works, exhibiting almost every variety of his amazing powers. His ‘Fedora’ an idealised study of Madame Sarah Bernhardt is matchless in it delicate colouring and feeling – if this is not how she is, then this is how she would like to be. De Nittis shows a November day in London and a twilight view of Paris. Chelmousky shows another of his wild scenes from the steppes, this time, however, without the horses. Mr Watts sends a portrait of Mr Swinburne. Leibl’s ‘Village Politicians’ is likely to be much noticed in Paris for the novelty of his somewhat photographic exactitude of style. Mr Whistler, whose fine picture of his mother has made him the talk of this year’s salon, sends a variety of nocturnes, harmonies and arrangements in blacks, blues, greys, brown and gold that will excite Parisians keen for the new and the strange.